While this letter is directed at the SQL Server community the points I present here are valid in other situations. One of the things that makes SQL Server stand out so much from other products (not just RDBMS) is the level of support and caring that it receives from its user base, frequently known as the SQL Community. There are many levels to this: from folks that read a daily newsletter, to those that help run a professional association dedicated to the product. Sitting between those two areas are those that like to give back to the community by writing blog posts, answering peoples questions, and presenting at one of the many events that are run throughout the world. 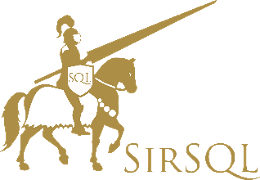 These SQL related events are run at several levels: from small local user groups which may attract 20-30 people, to SQL Saturday events that pull in a few hundred, all the way up to the large conferences where attendees number in the thousands. Everybody has to start somewhere. The people that speak at the large conferences have perfected their craft at the smaller events. The smaller arenas make for a tighter audience where material can be first presented, then improved over time. As important as the adjustments in the material are the changes in the presenters. They figure out the things that do, and do not, work for them. They learn how to read the crowd, handle questions, push through when problems arise with demos, and pace themselves to give a great and informative session which gives the attending audience great things to walk away with. Breaking into this speaking arena is as difficult as it is daunting. This is why things like SQL Saturday and local user groups are so great. They allow a fairly safe opportunity for people to get their feet wet. Despite the relatively low visibility a presenter may get from an event like this it is still incredibly scary for them to step up in front of complete strangers that first time. Anna (not a real person, name randomly generated) has worked with SQL Server for 10 years and knows the ins and outs of optimizing stored procedure performance. She makes the decision that she would like to share some of this knowledge with other people, and so spends a few hours making an outline of a presentation with all the things she wants to put in there. After figuring out the key items she puts together an abstract for her local SQL Saturday event and it gets accepted. After another 40 hours of work Anna has a presentation that she feels will wow the crowd. She shows up Saturday morning and walks into a room. There’s a projector in front of her, a screen behind her, and 50 people seated, waiting for her to start. Another 15 people file in, there are no chairs, so they are standing around, leaning against the walls. Anna looks around trying to find a friendly face, but there is nobody she knows there. Anna manages to get her laptop connected and is projecting things at the right resolution on the screen behind her. That’s never an easy task, especially when people are watching. The clock ticks round and she starts her presentation. As she welcomes everyone to the room and gives a brief outline of what people should expect from her session she sees a couple of people get up and leave. Anna now wonders what she did wrong. What happened that these people left? What did she just say? A little rattled, Anna tries to remain on track and gets into her slide deck. She explains the concepts that are up on the screen and a man at the back of the room raises his hand and asks a question. Fortunately it’s a quick one and she’s able to answer briefly and jump into a demo. The first demo goes well, but the guy is raising his hand again and asking another question. This one is a little more complicated. Anna tries to explain but the guy isn’t getting the answer and is starting to get a little impatient with her. Other people are turning to look at him and giving looks, but nobody is saying a word. Isolated, Anna tries to handle it as best she can and return back to the presentation. As Anna progresses through her slide deck she can hear the guy at the back mumbling to himself. Then he opens up and instead of asking a question blurts out loudly that she’s wrong and he knows it. Anna isn’t sure how to respond to this. She tries her best to push on but she is feeling intimidated by this loud individual who seems to want to do nothing more than prove how much smarter he is than her. Then there is an issue with one of the demos. A query doesn’t behave how it should and Anna is confused as to why. She pushes on, hoping that nobody noticed what happened. Of course the one obnoxious guy is quick to point it out. Exhausted from this Anna wraps up the remaining slides quickly, thanks the room, and shuts down her laptop. People slowly file out, dropping slips of paper containing feedback on a desk as they do so. A couple of people stop by to say thank you for the presentation and ask where they can get copies of the slides and demos. She points them to her website, they thank her and leave. Someone else stops to ask a question, but exhausted she can barely answer. The next presenter comes wandering in the room getting ready to setup for her session. She asks how it went. Anna just looks at her and shakes her head dejectedly. Anna walks out of the room vowing to never present again. It was a horrible experience that she never wants to repeat. She leaves behind 40 slips of paper that rate her session as a 5 out of 5. She misses the comments that state that this was one of the best sessions that they’ve seen and how her explanation of parameter sniffing finally made them get it and that they can’t wait to take all that they’ve learned back to the office and explain it to the devs and DBAs so that they can get it too. The community just lost a great speaker who can reach people on topics and that has a wealth of experience behind her. Anna is just a single example of what new speakers run into constantly. I’ve seen this happen first hand to new presenters. It’s not pretty and it’s not right. Public speaking is a deep held fear for most people, so standing up in front of an audience is a very scary proposition. I would like to make a suggestion that, in my opinion, should be implemented at all events. When someone is new (or newer) to speaking given them a “buddy.” Pair them up with a more experienced speaker who has done the circuit, is comfortable in front of a room, and knows how to handle a crowd or a question. Give that new speaker a friendly face in the room. Does it make a difference? Ask Anna what it would have been like if she had been able to look out and see someone give her a smile and a nod, just letting her know that she was doing a good job. How much easier would it have been if Anna had someone to help her get setup on the projector? What about someone to stand up when and ask if the intense questions could be taken offline so that a more in depth discussion could take place to provide the answers that were being asked for? How would Anna have felt if someone had asked the gentleman berating her to please stop and raise any big issues after the presentation? Or backed up what Anna had been saying? If someone had been there would Anna have been as exhausted when things were done? Would she have quickly skipped over peoples questions? Or would she have been engaged, and thrilled that people wanted to hang out and ask about the things she presented? Would she have walked out of the room deciding to never present again, or would she have eagerly grabbed the feedback papers and gone through them trying to gauge peoples feelings? The chances are that Anna would have walked out feeling tired, but great about what she did. She would have been talking away with her “buddy” about what worked, what didn’t, and asking if they had any idea what happened with that demo that went wrong. They would walk away, tweak the session some, add some things, remove some things, fix that demo and move on to submit and present at another event. On top of that Anna would have made at least one friend that day. The “buddy” never really goes away. It’s someone that they keep in contact with, talk to every once in a while, and bounce new ideas off of. The community grows by one new fully engaged member. If you are a first time or reasonably new speaker and are feeling nervous about giving that presentation, speak to the event organizers. Ask them ahead of time if there is someone who might be able to come sit in your session to provide some support. Should you get no assistance or response from the organizers then try to find someone yourself. For a local user group look to find folks who go regularly and drop them a line, see if you can get together beforehand. For a SQL Saturday ask people in the speaker room; scary though they may seem they are really decent people who would be more than happy to help. Don’t ever feel like you have to go out there alone. There are always options to get someone on your side. I was fortunate enough to have one of my favorite sessions chosen for PASS SQLRally 2012 in Dallas. I’ve given this presenation a couple of times in the past and it’s always been a lot of fun as it generally creates a lot of interaction with the audience. Hopefull you can join the audience this time and join me at the SQLRally on May 10th and 11th in Dallas (and don’t forget there are several great pre-conference all day sessions for you to attend). I’m scheduled to be in the final slot of the day on Thursday 10th, so come see me before going to get your Gelato. I’m very excited to be going to Atlanta on September 17th and presenting at the SQL Saturday event being held there. I was lucky enough to get two submissions accepted. As a DBA it can be a challenge to know who has permissions to what SQL instances and what objects. The more instances you have the more complex that task. In this presentation I’ll share a method using PowerShell and TSQL that can be used to capture permissions from all of your SQL instances and load them into a centralized location. We’ll even take it a step further by auditing those permissions so that we can quickly and easily identify any that might have changed. PowerShell: Are you checking out my profile? PowerShell is a very powerful management tool and you can spend hours writing magical scripts to provide automation for frequently run tasks. Often forgotten is the PowerShell profile, a place you can add your own functions which can provide you lightning fast access to information. In this session we’ll talk about the power a profile puts at your fingertips. I will also demo (and share) several PowerShell functions that I use frequently for common tasks like checking database backups and disk space. I’ll show you my PowerShell profile if you show me yours. There are a grand total of 17 MVP’s presenting that day. I’m frankly stunned I have to opportunity to be in rarified company and be able to speak myself (in fact my first session I’m up at the same time as 7 MVP’s so I’m expecting a quiet room). It should be a blast though, be sure to say hi if you’re there. I might even sneak in a preview of my PASS Summit Lightning talk. I’ll be speaking at the PASS Summit 2011 coming up in just over a month. “Wait…what?” I hear you say, “you said in your blog post https://sirsql.net/blog/2011/6/20/not-presenting-at-pass-summit-2011.html that you were not going to be presenting”. PowerShell wants to be your bestie. Please accept PowerShell’s friend request and put it in your circle. Find out why you should. Hope you’ll find the time to swing by at least one of the lightning sessions. They are a lot of fun. Sadly neither of the two sessions that I submitted for the PASS Summit 2011 were chosen and so I won’t be presenting. I’m not going to claim that I am not disappointed because I am. I felt that I had a really good chance of being chosen, but when there are 649 abstract submitted and only 111 slots available someone is going to miss out. This year I was one of the majority that didn’t make it. I’m not disheartened, I’ll continue speaking at other events this year and next and already plan on submitting sessions for next years Summit. I will, however, be at the Summit this year. I paid for my submission early in the year and got a significant discount on the price…which reminds me, go register now and save $600 on the full admission price. There are going to be some fantastic speakers and sessions, including half-day sessions for that deeper dive (don’t take my seat in Bob Wards session if you know what’s good for you). Don’t forget there are 2-days of precons this year. I know my buddy Aaron Nelson (blog|twitter) would love to spend a day talking your ear off about PowerShell. Hope to see you there, and to enjoy watching you entertain everyone at SQL Karaoke! You’ve mastered the first rule and have submitted a session to present at a SQLSaturday, local user group or at your office, excellent. Your presentation is written, all the details are there…slides, demos and you’ve got your patter. You’ve followed the second rule and the presentation is all you. What’s next? Time to run through your presentation multiple times so that you know it well and can give it without any problems. You might have a demo heavy session and need to practice those demos over and over, getting them just perfect. It could be a presentation that’s all theory with multiple slides; run through them, know what’s on each, understand each statement that you have put out there. Do you smell BACON? It really doesn’t matter the kind of demo just practice it over and over again. Drive your dog crazy by holding it a captive audience as you present while holding a strip of bacon just out of reach. Don’t worry if you don’t have a dog as a cat, spouse, girlfriend, boyfriend or fluffy bunny rabbit will work just as well. The more you run through your presentation the more comfortable you will feel with it. This comfort is going to be vitally important for when you first get up in front of that “live studio audience”. When those nerves kick in (and they will) you’ll have the mind muscle memory to carry you through. After all you practiced it until it was second nature to present, there’s not going to be anything to worry about come presentation time…right? As an analogy when I first started out blogging I tried to emulate other writers in the community. In doing so I felt it very difficult to get across what I was trying to say. The message was lost in my trying to be someone I wasn’t. In addition I found it a real chore to write anything and pretty soon gave up posting. My second attempt at blogging was a great deal more successful, at least it feels that way. Instead of trying to copy the style of someone else I am writing in my own voice. Whatever sentence structure I come up with is what I use. I don’t find it a chore to get words down, I feel like my message gets across and I am a great deal happier in the Don’t be this guythings that I publish. Speaking is no different. Sure, you could try to emulate Buck Woody (blog|twitter), Brent Ozar (blog|twitter) or Sean McCown (blog|twitter) but I wouldn’t recommend it. Each one of those speaker is very different in the way that they present. Each has a very clear way of putting the message across and each one does so in a way that captures your attention. They have built their styles from years of presenting in their own voice. They are all very comfortable in how they present, they do this by being themselves. Taking a lesson from my blogging experiences I decided that my presentations would be in my voice. I would present them in a way that I felt comfortable. By using my voice I knew I would never be outside of my comfort zone. Think about trying to talk like someone else, then add in a technical aspect. Now imagine fifty people are watching you try to be someone you’re not. Presenting is going to be challenge enough for you at first. Go in being yourself, it’s worth it.